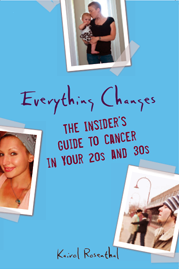 Everything Changes – The Guide to Young Adult Cancer » Addicted to Your Illness? It’s funny, I was just talking to a friend the other day about how sick I was talking, reading, and hearing about cancer. Before I got sick, I was the epitomee of health. Now it seems I have become and expert on a disease that I never wanted to know about in the first place. I have a love/hate relationship with cancer. I feel like it has defined me for so long, but at the same time, without cancer, I think I would feel empty. At this point I’m not sure what I would do without it. About once every other week, I declare a day to be ‘cancer-free’, meaning that all of the volunteering, advocacy and work that I do for the various orgs stops. I have even declared cancer-free weekends, where I don’t attend meetings, events, blog, email, or post anything about cancer. I don’t think about it. I take the time for myself, and this has helped me in so many ways. It helps me re-connect with my kids – they need to see that, while it’s important to help others, it’s also important to take care of yourself emotionally, physically and spiritually. Plus, by doing this, I give myself permission to spend time doing what I want, which oftentimes means playing with my kids, cleaning my house, and taking naps! I think it also helps me get re-invigorated, so that when I do get back into the swing of things, I am better at it. I think this is a very important step for you, and you will find that it’s very helpful. What should you blog about? How about your favorite non-cancer book? Do you have a favorite author? Maybe your favorite musician? Kairol…you know how much I can relate to this post! I am not sure if I would say “addicted” but for me it may be more “obsessed” if you know what I mean. Either way I spend alot of time reading, writing, blogging, and speaking about cancer. It certainly has become a huge part of my identity…being a cancer survivor. Sometimes I feel as though that label comes right after my name! I had been thinking about this a few weeks ago. How do we identify ourselves? What labels do we give ourselves and in what order? For me I have been an OT for many years, more years than I have been a writer so from a career standpoint I have not yet owned the writer in me. If someone asks what I do for a living I say that I am an OT when that is now what I spend the least time doing. And because I work in the healthcare field it is hard being a cancer survivor. I question whether or not I can continue with that career because it is too emotionally hard for me. I can relate way too much to my patients and it has become stressful. And yet with my writing I wrote a memoir about my cancer experience and write alot about cancer on my blog. And it is hard too. It feels like the more I write about it and speak about it I obsess more over my health. So on my blog I have started to try and add more posts from time to time that are non cancer related. I will always be an avid reader of your blog and I look forward to hearing about other interests and opinions you have that are not healthcare or cancer related! You are a brilliant writer and I think this will be good for your soul…. Thanks for your comments! Cathy – What a triple whammy you’ve got: cancer patient, author of a cancer book, and OT. I can see how cancer would begin to feel superglued to your identity. Well, I don’t have much of a choice… being a cancer survivor, a cancer researcher and a moderator for a testicular cancer forum means that I deal with cancer every single day. I didn’t have a choice becoming a cancer patient, and I was already working in the field when I was diagnosed. Being a moderator keeps me attached to the human aspect of the disease, kinda like a complement to the labwork. I do agree that sometimes it can be rather overwhelming having to see this day-in and day-out. Breaks from this type of stuff are definitely needed, and Kairol, I give a hat tip to you for doing just that! We all need a vacation every once-in-a-while! What should you write about? What inspires you? Where do you find joy or marvel or laughter? What is intriguing? What would you do if suddenly you *were* in remission? What are your hopes and dreams? I sometimes feel like a traitor because I’m *not* active in the cancer community, but I don’t want it to be my life. Did my time and I’m *done* I still talk about it, I still blog about it some, I still offer help and advice to any who seek it, but I don’t want to live it. I don’t want to maintain the level of anger that I would need to stay focused. Anger is, to me, emotional cancer, and I don’t want to fuel it or live in it or by it. I want to get rid of it. I think we all need a break sometimes. I went through the usual. Rah, rah – race for the cure, then I wanted to ignore it and go on with ‘life’ then I felt crappy and realized I wasn’t getting away from it so easy- since I am tested positive for the BRACA gene I am always getting tests etc. so, here I am – advocate. I too was diagnosed with the BRAC 2 gene. I think I’m obsessed because I’m still bitter that the Dr. brushed me off when I told her that I have a strong family history of breast cancer. Grrr. I keep looking to see if anyone has had a similar experience. I used to write all the time not about cancer. 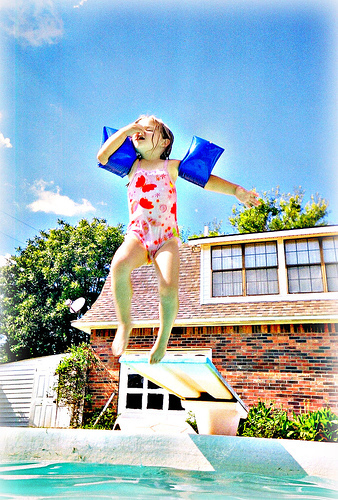 I would write about favorite events from my childhood. Do that. Keep those memories alive. Write about something positive. You (and I) need to be balanced. During my 1st and 2nd remissions, I resumed practicing internal medicine and tried to put my cancer behind me. When on-going ill-health made it impossible to care for patients anymore, I turned to writing and speaking about survivorship as the best way for me to continue to help others. I’m confident that had I been well enough to resume medicine, I would have tried yet again to put my cancer behind me. Paradoxically, when I write and speak about survivorship I am escaping my own cancer. In “doctor mode,” I am not thinking about myself, my health, or my future at all. Rather, I’m totally focused on my audience (patients and/or caregivers and/or healthcare professionals), just like when I worked at the hospital. Keeping cancer at the center of my life has been good for me. Yet my husband and three children (now grown) have paid a price for my choice: They hear and see more “cancer” in their everyday world than they would otherwise, more than they like, and more than is good for them. My family and I have talked about this periodically. They understand and respect my sense of obligation to my extraordinary survival (19 years, and counting!) and my sense of calling as a physician. And I understand the emotional discomforts and needs of each one of them. All five of us have made compromises. We have agreed on boundaries. I make an effort to be sensitive to them. I avoid cancer-stuff when there is no need to bring it up. They don’t hesitate to tell me when they don’t want to hear anything cancer-related that day. Kairol, I’m glad you highlighted this topic. Dramatic changes over the past 30 yrs have led patients to embrace — even feel proud of — their survivorship. That’s great. But sometimes there can be too much of a good thing. People who are swept up in the world of cancer risk missing out on experiences and relationships that have nothing to do with cancer and that could have brought them great joy. Survivorship is an art. Some people do best to keep cancer as far in the periphery of their life as possible without jeopardizing their health. For others, involvement — even absorption — in their survivorship helps them through tough times, or helps them make the transition to a “new normal” that integrates the changes and losses in healthy ways. A “Healthy Survivor” is a survivor who gets good care and lives as fully as possible. What makes Healthy Survivorship so challenging is that both you and your circumstances change over time. So Healthy Survivorship involves on-going self-awareness of how your current identity as a survivor is affecting you and those who care about you. Is it for better? Or for worse? Sometimes you can figure out the answer yourself. Other times you might need to talk with someone who understands and cares. The next steps to Healthy Survivorship involve (1) knowing what choices you have, (2) choosing what is best, and then (3) asking for and accepting support. H LEE D – This is YOUR blog. It is anyone’s blog who has something useful to say on the topic I’m writing about so please, rant all you want. Thanks for your comment. DIANE – I’m wishing you all the best today with your CT scan! WENDY – What an incredible comment. Thanks writing it. I could especially related to the part where you wrote “Paradoxically, when I write and speak about survivorship I am escaping my own cancer.” Writing my book, speaking, giving keynotes, even blogging is one of the best escapes from my own cancer, because as you said, I too am focused on the audience, the reader. But I am learning that this is my only escape from cancer. How one dimensional of me! I feel like H Lee D. It would have been very easy for me to have made cancer my work in addition to my life. I could have studied patient experiences, could have looked what what improves quality of life, any of that. Shortly after my treatment I decided that living my life meant not tying it to cancer any more than it was. This was made easier because treatment was done. I wasn’t living with cancer, so to speak, though I always assume I am living with cancer. I don’t think the same way I did before cancer. I don’t count on living as long as I had imagined. And for that reason I wanted whatever window I was given to be filled with the activities and choices I never allowed myself to really make before cancer. Mind you, I think of cancer every single day and it so central to who I am, but I didn’t have it in me to make it more of my life than it already was. It is such an individual response and one I found some solace about after reading Alice Trillin’s piece on Garden Peas and Dragons from so long ago. I feel I have made the right choice for me, but there’s no question sometimes I feel left out of the club and when I do have those cancer freak-outs, those who haven’t had it at age 36 don’t quite understand. Thanks for such an honest post. It’s a big reason why I jumped at the chance to start writing for a diabetes website and keep my personal blog for the other stuff. Life is so much more than counting carbs and exercising. Type 2 diabetes is time consuming at the beginning and when progression occurs, but the in-between times, not so much. Still, I see the need for diabetes advocacy and that is why I need to write about it somewhere. I would definitely say that I am addicted to my cancer. By that, I mean that I feel like I spend so much (too much!!) time thinking about, reading about, talking about, and worrying about my cancer. I feel like people tiptoe around me sometimes (unintentionally, of course), and of course there’s the huge scar I carry from ear to ear (from neck dissections) that might as well glow like a lightbulb everytime I look in the mirror. I wish there was a way to take a vacation from cancer, even for just a day. But so far, I haven’t found a way to do that. I think that once we are diagnosed, the cancer just becomes a part of our psyches, despite our best efforts to not let that happen. Even when those wonderful words “no evidence of disease” are heard, there will forever be that little voice in the back of our heads that says, “But, it could come back”. I am also in nursing school (will be graduating in 3 months), so healthcare is my life. I see cancer at work, and I live with cancer at home. I just wish there was a way to forget about the cancer sometimes. It occurs to me after reading all these comment how nice it would be to meeting some of you in person! So many different experiences! Anyway, I was diagnosed with oligodendroglioma (brain cancer-low grade) at age 16 and again last year at age 41. There have been times in my life where I have thought about nothing other than the the big tumors in my head — the last one bigger than Elvis even!–but years have gone by in my late 20s and 30s where I haven’t given cancer a moment’s thought. I guess right now I am somewhere between these two extremes–not a bad place, actually!